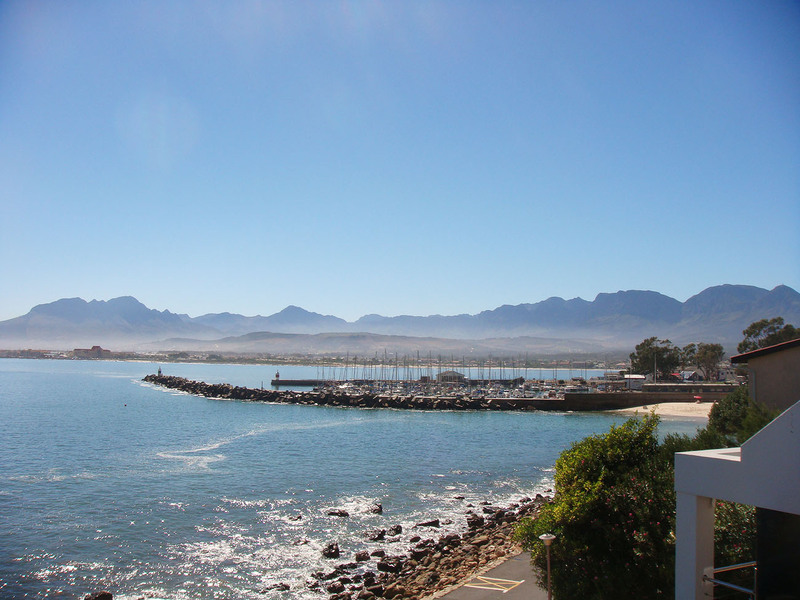 This absolutely gorgeous apartment is situated in the most idyllic spot in Gordons Bay opposite our world famous Blue Flag Status Bikini Beach. 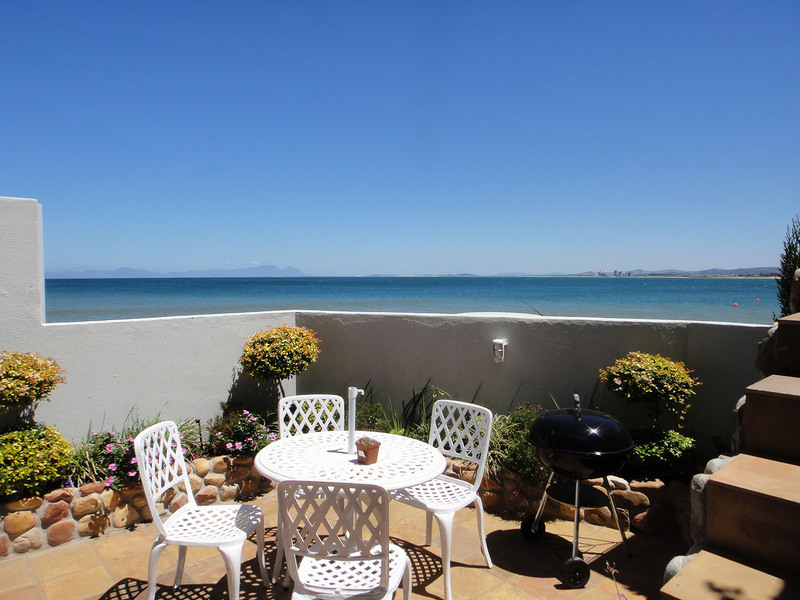 As you look over the wall, there are 100% exquisite uninterrupted views overlooking Bikini Beach, False Bay with Table Mountain in the distance. 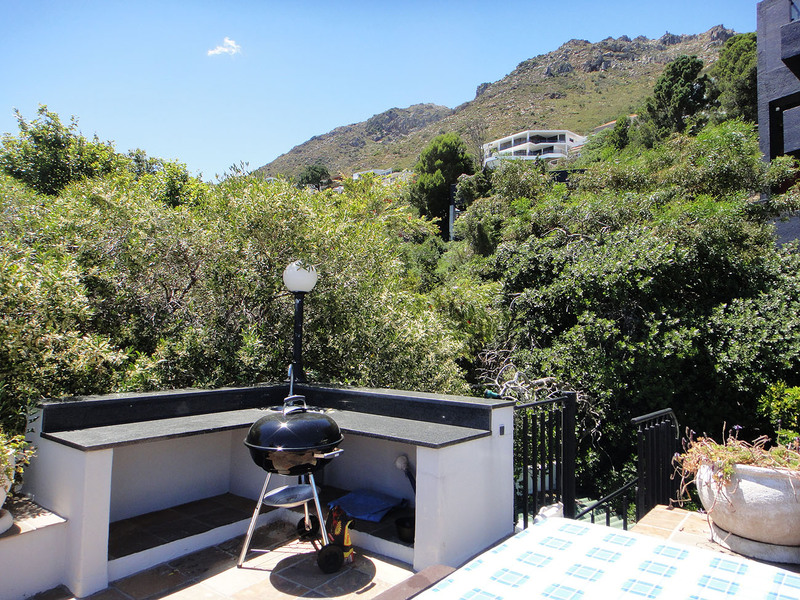 There is a sun deck on the roof with a braai. You can get completely lost in the sunsets which are quite indescribable. 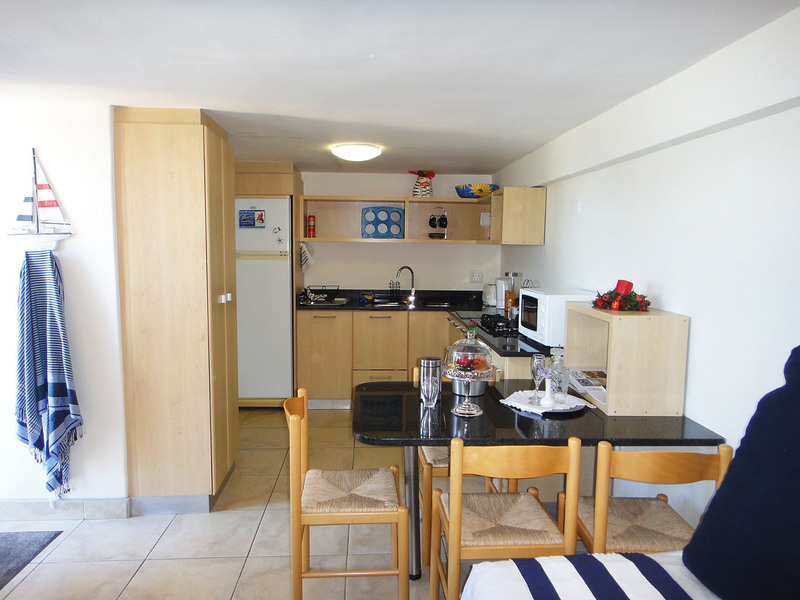 You also have your own private “patio garden area” with a wrought iron table and chairs. 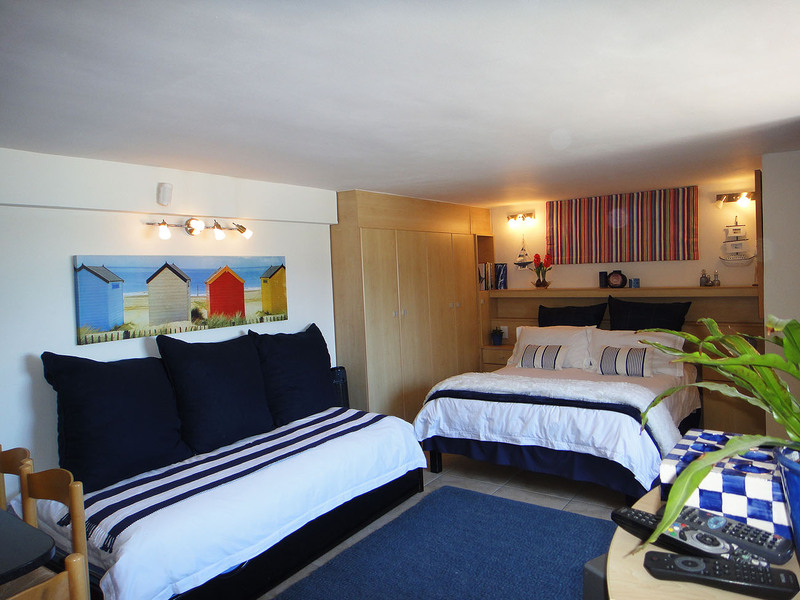 1 x double bed, 2 x single sleeper couches. 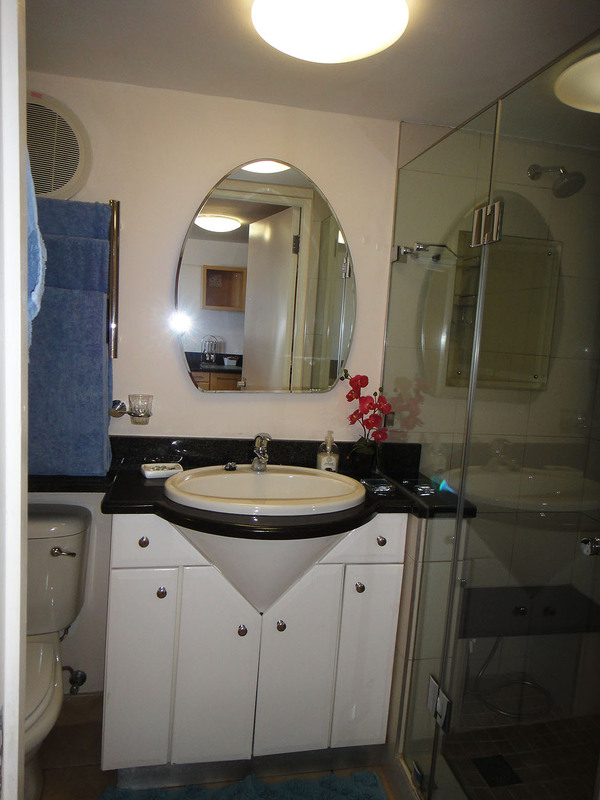 Bathroom with a shower, toilet and heated towel rail. 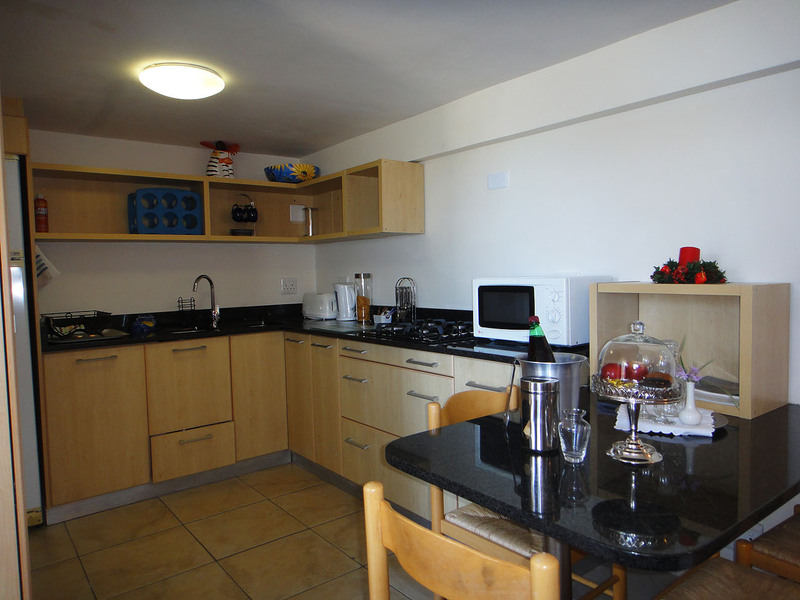 There is a small open plan kitchenette. Washing machine and tumble dryer services available on request.